SYNOPSIS: The plot kicks off with Gary Cooper testify in court against a co-worker. The man is found guilty of murder and sent to prison. 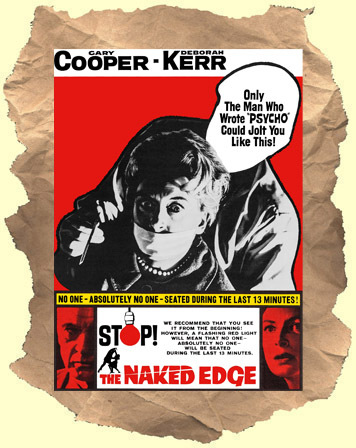 Years later a now-wealthy Cooper falls in love with Deborah Kerr and they get married. She finds some clues that point to her new husband being the actual killer and thus begins the Hitchcock-like suspense of "Is he or isn't he?" the killer. The most likely comparison would be Hitchcock's Suspicion. The Black & White photography is first rate with a real film noir feel to it. This was Gary Cooper's last film. Never released in the widescreen format in the U.S. Written by Psycho screenplay author Joseph Stefano. WIDESCREEN.